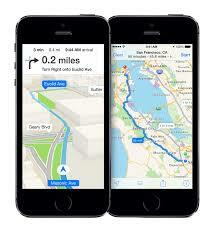 iOS 8 version is rumored to focus on health related applications and major improvements to Maps app and Siri. This will definitely be a great operation system, but lets take a closer look to the iOS 8 version rumors! iOS 8 version – What we expect? All the following information are not announced by Apple, so do not expect them to be on iOS 8 version for sure! Before major releases from Apple, rumors and leaks come at surface and a large number of them tend to be very close to the truth! A rumor that came from 9to5Mac, implies that iOS 8 version on iWatch will be accompanied with health related applications and abilities. This actually something that can happen, because iWatch will be on you 24/7, and monitoring your health will be a great addition! 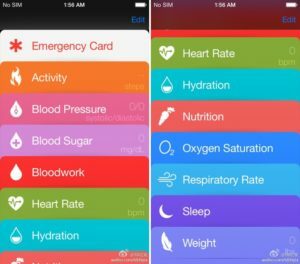 It will be an application similar to Passbook (store cards, tickets or other info), but it will gather all health related data of you. A few months ago, a screenshot became public from Weibo (A Chinese blog) and it was verified by 9to5Mac too. This app will help you, among other things, to track your physical movement or your sleep quality. As you can see on the photo, it will be able to measure advanced metrics too! More iOS 8 version possible updates! Apple is trying to upgrade iCloud too, and in addition to storing files on Apple’s servers, some preview and text edit apps will be added. It is not very clear what these apps will do yet, but they will document viewers rather than allowing them to edit them (Wait until summer!). Many people have bad experience with Apple’s Maps, but Apple will try to make some major improvements. It is rumored that they will offer transit directions and Points of Interest. One more feature will be the indoor mapping and enhanced car integration. Rumors are not very clear at this point, but I am pretty sure that Apple will highly boost their Apple’s Maps application! 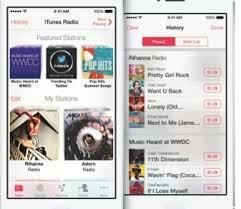 Apple is moving towards to make iTunes Radio a standalone application, which will have more capabilities. Many people use song identification applications, like Shazam, and Apple plans to partner with them! Siri gained many features with the iOS 7.x.x versions and Apple will definitely keep that road with iOS 8 version. Very few rumors exist for the improvement of Siri, but one thing is for sure, she will be able to interact with much more third party applications! iOS 8 version will be released at the same date as the iPhone 6 will be released, which is the fall of this year. Apple will definitely release beta version much sooner, but do not get disappointed from the first beta version. When iOS 7 beta version released, you could not even use your iDevice, since it was full of bugs! Apple is working on OS X 10.10 too, so some of the above features might not be included on iOS 8 version, but on the next iOS 8.1 version. You can find a great deal about iPhone 6 rumors as well, and I am pretty sure that some of them will be 100% true!